What is the key to successful blogging? Why should your business have a blog? 1. Blogs are highly visible to search engines – and if updated regularly with content, they will enable your website to be found more easily. 2. Blogs are interactive – Which is important from both a customer’s and a search engine perspective – It is important that your customers can engage and share your content and critically, the search engines can then measure this interaction. A ‘blog’ can be a superb, yet simple way to publish company news, articles and maybe offers and provide links to other pages on your website – as long as you understand the types of information you need to publish and the knack of how to attract customers with what you are writing. More importantly, a blog can be an interactive tool to help attract and continually communicate with your customers. In todays social environment, we generally all like to ‘have a voice which is heard’ so the ability to respond with comments to anyone is attractive to many people. The search engines now have a very clear focus on the way others ‘respond’ and ‘share’ your published content. Therefore, if you get the content right and you get the mechanisms right you can ‘hit the jackpot’ so to speak, when it comes to attracting people to your business. The subject of ‘attracting people through behaviour patterns’ is where my experience lies and it has done for some 25 years. It is what I enjoy and enthuse about, because when it works we create customers! A blog can also the best way to engage with visitors to your website!! But you need to understand exactly what your customers are looking for when they reach your website! 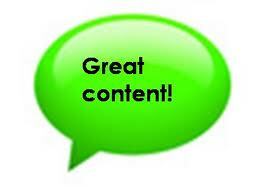 The key to creating a good blog is to write good quality and RELEVANT content. It may be an idea, if you want to continually produce a decent level of well-written articles you need to find an experienced copywriter but, with experience, you can get to be really good at writing your own content. Some copywriters can write great content and produce press releases to improve page rankings for your blog or website. This can, in turn, help increase the overall performance of your social media marketing when all elements are combined. Not all copywriters understand how they should really write a blog and keywords are not the only thing to focus on. Social media and blogs are really great together. Your blog should be firstly integrated with your own social media marketing efforts. A blog can be designed and built in a way that it helps to guide your visitors along a ‘route to the sale’. The words and mechanisms within your blogsite should be working to ‘convert’ these visitors into qualified enquiries. Are you writing a blog? Do you have a blog on your own website? Would you like an article about your business published in an influential online blog, related specifically to your own sector? Contact me and I will do my best to get an article published for you free of charge. Would you like to appear as an expert in your sector? Maybe you would like to appear in an interview with a published online magazine? If you work in HR, Recruitment, Property or Construction or are a business advisor in some way, please contact me and maybe we can interview you for one of our magazines. Would you like to hear someone talking about the whole process of attracting and turning web visitors into sales? I will be holding a series of invitation-only discussion forums and seminars in the North West, on the subject of ‘Turning your digital visitors into prospects’. Please let me know if you would like to attend, as my guest. Contact David@m3publishing.co.uk or call me on 08450 519374 and let’s discuss how we can give your profile a boost. This entry was posted in Article Writing, Blogging, Content Marketing, Internet Marketing, Marketing, PR & Media, Social Media Marketing and tagged attracting customers, content-marketing, David Lomas, m3 media, social media, social media marketing, website conversion, writing blogs. Bookmark the permalink.